Happy Saturday! It’s time for a new challenge at Hiding in my Craft Room: Any Holiday! 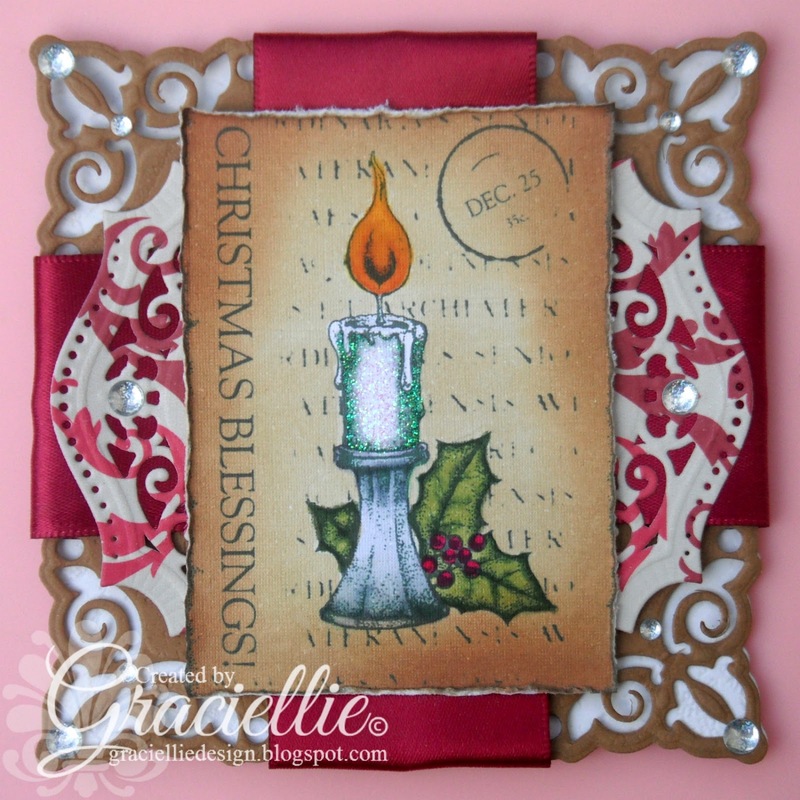 I made a Christmas card for today using a vintage digital stamp from this week’s sponsor Pickled Potpourri. 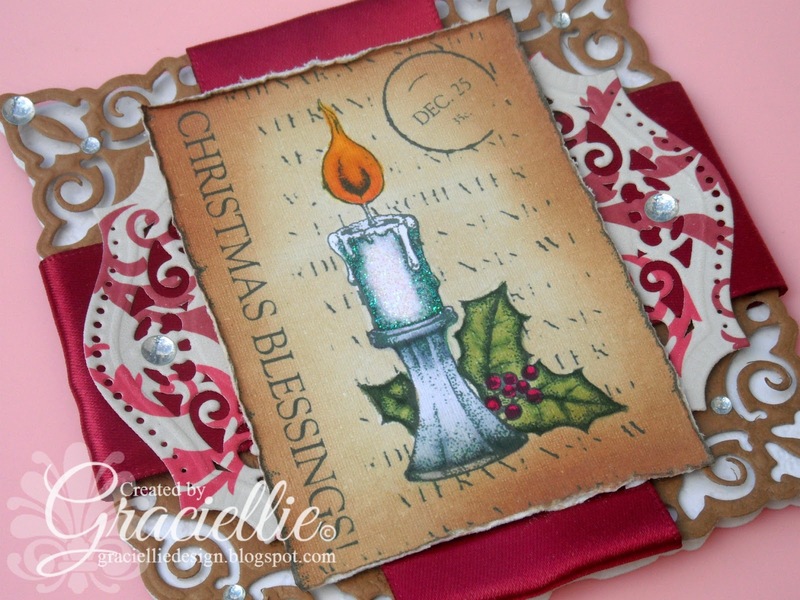 The image I used for my card is called Christmas Candle, and it’s a vintage, postcard like image. I printed the image on white linen cardstock, colored it with Spectrum Noir markers from various sets (greens, reds, yellows, essentials). The background too was colored with markers, and then sponged with Distress ink in Old Paper to darken the edges. I also distressed the edges by hand to give them a worn look. I die cut the card base from leather textured cardstock in off white, with Spellbinders Adorning Squares, and also used the same die for the first layer. This first layer was die cut from leather textured cardstock in light brown. The second layer was die cut with Spellbinders Majestic Labels Twenty Five, from a piece of Shery K. Designs paper. Before adhering this layer I crossed two pieces of 2″ burgundy satin ribbon. TIP: I made the patterned layer look smaller or shorter by cutting it in half and adhering the two pieces together. It almost looks like a doily. Finally I added the image and some crystals to finish my design. I hope you enjoyed seeing my card. I invite you to join us this week at Hiding in my Craft Room. Remember you can make a card for any holiday you want. Sorry Gracie, my blogger comments is playing up again today! Your card is beautiful! I love the background dies and papers. The way you coloured in your candle is amazing. Great job, dear friend. Oh! This is so pretty! Love the glittered candle.